My name's Jan and this is my website all about Torrevieja in Spain. Register now for free to talk about Off topic and much more! Can anyone give me a completely honest view on Torrevieja. My parents who have lived in spain happily for 15 years started off renting in Torrevieja and were broken in too and moved away very quickky so did not have a nice experience. We are currently looking to take early retirement but our 23 year old son would come with us. 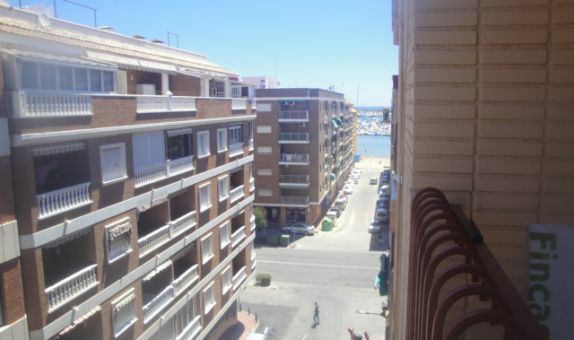 I have seen affordable properties in Villa martin, Playa Flamenca and La Zenia so Torrevieja being the main city. We like hustle and bustle being able to walk along the beach, shops and out of an evening but I just wondered if Torrevieja was safe for us to walk around and our son as I read on a forum the other day her friend had had her handbag snatched as she walked back to Playa Flamenca and there was nightclubs where fights broke out a lot and Hoookers hanging around in a certain areas which put me off a little. I know many people live and love it and I would equally love to just would like a really honest opinion. Otherwise I have been thinking about Santa Pola any advice greatly appreciated. I think you have to understand that Spain is split into Spain, where the Spanish live, and tourist areas where most brits live. Torrevieja is a tourist area. The Spanish areas are very safe, there is little crime and we freely walk about late at night with no fear of being attacked etc. The tourist areas are different. They are a mix of different nationalities and, to be honest, a lot of people who take advantage of the tourists. It's a fact of life, bit like the difference between central London where the tourists flock to and Berkhamstead where there is a more leisurely lifestyle by the indigenous population. If you like hustle and bustle, you couldn't do much better than la zenia.. lovely beaches, shops, it can be a bit touristy in the summer, but your in Spain, tourists have been going to Spain since day dot. Les and I are happy in lomas de cabo roig, we have all of that, and more, but at the end of the street, 10 mins walk away, a short bus ride away... do you understand me? I appreciate that no area is perfect and there are issues everywhere you go but, for what it's worth, my experience of Torreveija isn't great. Just last Sunday, in broad daylight in the middle of the afternoon, we were approached on the prom by a guy asking if we wanted "weed". He was as bold as brass and we spent the next 30 minutes sitting in a cafe watching him ply his trade - he was doing a roaring business. Lots of dodgy characters coming up to him and buying (and selling all sorts of stuff). Despite being a Sunday afternoon the side streets felt a bit intimidating too and we were relieved to get back to the car (which thankfully wasn't touched). Contrast that with the previous Sunday in Santa Pola - lots of happy families strolling around enjoying the relaxed atmosphere. I'm sure there were weed dealers there too but we didn't see them, maybe we were just lucky there. The difference in atmosphere between the two places was like chalk and cheese. From your son's perspective, I think he would be more likely to find people of his own age, and work, nearer Torrevieja and the surrounding urbanizations. Tourists are always going to be a target anywhere in the world and Torrevieja is safer than most. You are going to hear of homes broken into and bags being snatched everywhere, in towns and countryside and prostitutes are going to hang about where their trade is and much of their trade will be with tourists. If there was no market, they wouldn't be there. 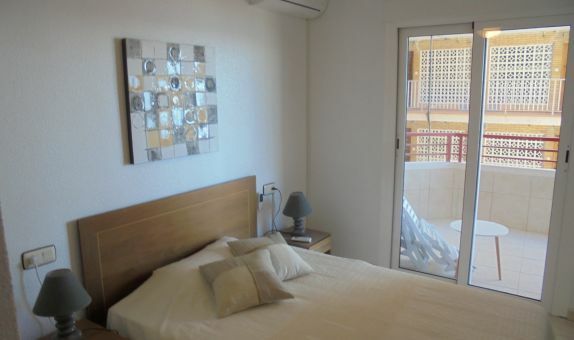 Santa Pola is a lovely, Spanish, family orientated town so would be good for you but possibly too quiet for your son, but how long will he be with you? Unemployment is high with seasonal and low paid hard work in the bars and restaurants. If your son doesn't speak Spanish, his only chance would be in urbanizations with a high Brit population. If moving to Spain is conditional on your son staying in Spain with you, I would consider long term renting and leaving your options open in UK. Torrivieja has some lovely parts and some not do nice parts as many Towns. By large I feel safer in Spain with the Guardia than I do in UK as they do not take any nonsense. Police local are very approachable and are seen around either walking or patrolling in cars. I used to come to Torrivieja often before I bought on my own and never felt at risk. Don't go looking for the negative as you will draw it to you. I would not buy in Torrivieja as too busy for me and music everywhere in the summer. But I do enjoy popping by and getting my fix as the vibrance of the Town in the warm summer evenings is wonderful. 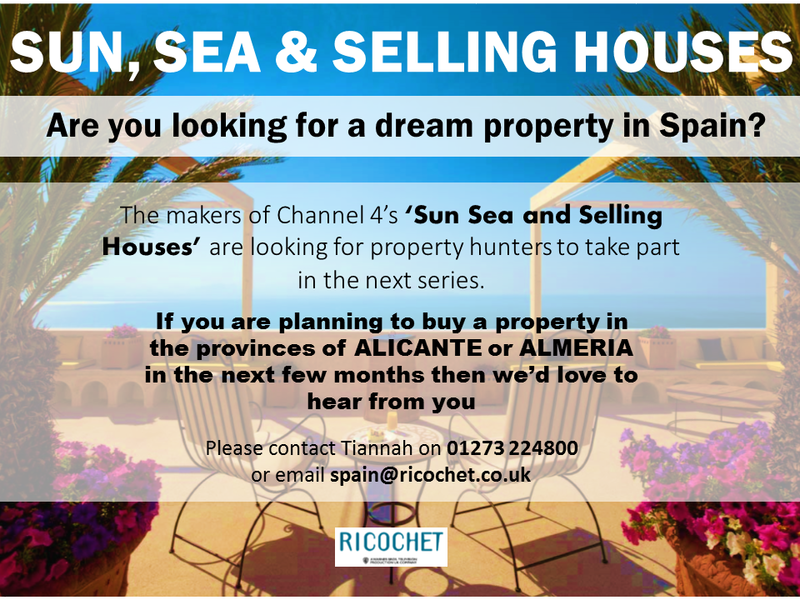 Contact www.spanishpropertyteam.com as they are property finders and will help you identify the right living areas for you in your budget. Saved me a lot of stress time and money. Be open enjoy your next exciting chapter. Gilly - "But I do enjoy popping by and getting my fix" is an unfortunate turn of phrase given ColinL's reference above to "we were approached on the prom by a guy asking if we wanted "weed". Thanks RayD for your reply it is extremly helpful and I liked your comment to GILLY09 very funny. Thankyou Bles for your very helpful reply.